"Shiny! Would be perfect for my temple!" Also known as Golden bricks, these building bricks composed of pure gold are the most valuable items a hero can find. Only these are used to build temples. For a complete Temple, a hero needs 1000 of these rarities. When a hero gains one the temple completion percentage increases by 0.1% but only when the temple is 100% complete does the golden brick become a bold artifact to be stored in the inventory once another one has been obtained via the usual means. 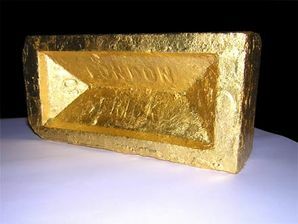 Once this happens, the gold bricks behave like any other bold artifact and can therefore be sold for money. However, the range that a golden brick can be sold for is 940-1160 gold coins which has caused annoyance since it varies greatly from the stock market prices seen in the Godville Times daily. have one magically forged from about 3000 Gold coins through god's Influence, by influencing the hero/heroine with Encourage or Punish. By checking the Newspaper, you can find out daily how many Gold coins are needed for a Gold brick although the likelihood of an influence's success is about one chance in four. Punishment is more likely to melt gold coins into a brick than Encouragement. pay a shopkeeper an amount less than 3000 coins to repair a broken gold brick. certain Activatable Artifacts which allow the hero to instantly defeat a monster (i.e. Kill switch or Monster repellent) may also reshape around 3000 gold coins into brick form instead. One gold brick requires 3000 gold coins. Therefore the total volume is approximately 4418 cm3 Note: Using 1.47 will give 4410 due to it being a rounded figure. Assuming the brick has the same length:width:height ratio of a standard brick (115:55:38) the length, width and height can be calculated to be: 30.3 cm 14.5 cm and 10.0 cm respectively. 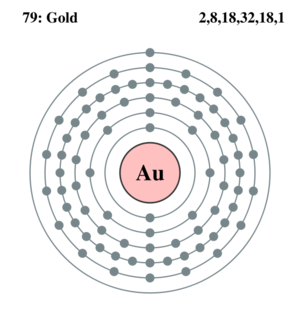 Gold is considered the holiest of materials, though not the rarest, and has been since the beginning of civilization. It is very unreactive (it's a noble metal) and so can stand up to the might of the elements (nobody wants their temple to fall down). It is also the most malleable and ductile of all metals making it easy to shape it into bricks. The only downside is that gold tends to be very expensive and golden bricks even more so. Over the years many heroes have gone against their gods' wishes and decided that the best material for the bricks of their temple should be platinum since it is rarer. Other heroes use lead thinking it is heavier and harder to knock down, only to be disappointed when they discover that gold is 70% denser than lead. There is the rare breed of hero who has used the same logic, but gone one step further and used uranium. These chemically challenged heroes are also thwarted when it turns out that uranium is not after all the densest naturally occurring element, and after 4.47 billion years, half of the temple turns to lead anyway. If only heroes had some sort of World-Wide Whatever that they could use to learn about the density of elements, these tragedies might be avoided. Uranium also features the side effect of radioactivity, which heroes don't have any knowledge of, but since gods routinely heal and resurrect their heroes this unpleasant effect goes unnoticed. There is a famous story of one hero who decided to build their temple out of the rarest material they could find in order to honour their god sufficiently. Unfortunately, this turned out to be tritium and so the temple merely diffused into the environment before it could be fully assembled. It is for these reasons that heroes normally tend to use gold. Clever heroes actually alloy their gold bricks with nickel as this makes them a lot tougher and so provides further support for the temple. ↑ The actual price fluctuates, depending on the current market price of gold bricks (can be seen in the 'Market Quotes' section of the Godville Times) and the place of purchase; 1750 coins was the lowest price ever observed so far. This was for a brick purchased in Anville. ↑ The rumor is that the likelihood of gold brick purchase increases the more gold the hero has, but that was not reliably confirmed. ↑ The artifact will not necessarily convert all bold artifacts to golden bricks. However, the more bold artifacts you have, there is a higher chance that more of them will turn into bricks.